posting on Sunday, Monday, Wednesday and Friday of January. I write this post from my bed, a cup of tea on my nightstand and a Delta Rae song playing on Spotify. I'm distracted, if I'm completely honest. I keep checking my Twitter and Pinterest, and I'm having a hard time avoiding Netflix. As a blogger and a novelist, finding the perfect writing space can make or break my productivity. If you're writing from your couch and you find yourself slinking into the cushions, get out now. You're on your way to nap town. Quick, get moving! You don't want to be uncomfortable when writing, because that can fall into the distraction category, but you also don't want to be overly adjusted. Imagine yourself sitting at a school desk. Avoid slouching, and sit up straight. Tell yourself that you mean business. Personally, I'm a writer who likes to make playlists, but if you create your writing space music-free, that's cool, too. When I'm writing from home, I still use my headphones, because it helps me to click into the moment. If you're a no-noise writer, prepare for this. Maybe try writing at your local library if your apartment/house is too loud. Try some fancy noise-cancelling headphones for fun. Whatever suits you, make sure to prepare for this ahead of time. Have your playlist ready or your sound-proof room all set. I am the rare, all-of-the-above person. Depending on the day, I drink either coffee or tea, and I always have a bottle of water handy. For long bouts of writing, I make sure to have these ready from the start. Nothing kills productivity like needing to stop mid-scene to grab a sip of water. Try drinking your coffee or tea out of a thermos. This keeps it warmer longer and prevents unnecessary trips to the kitchen. Also, pace yourself, people. Bathroom breaks are distractions, too. Pick your poison and fill up ahead of time. Honestly, I'm a night writer, as I've mentioned before in this post on scheduling your writing time. On the weekends when I have more time, I spend most of my Sunday writing or editing at the coffee shop. For me, when daytime writing, I like to be in a place with plenty of natural lighting. Natural lighting wakes you up and tells you that it's time to work. If you're writing from home, try opening the blinds and writing by a window. If you're really an overachiever, you can even try writing outside. 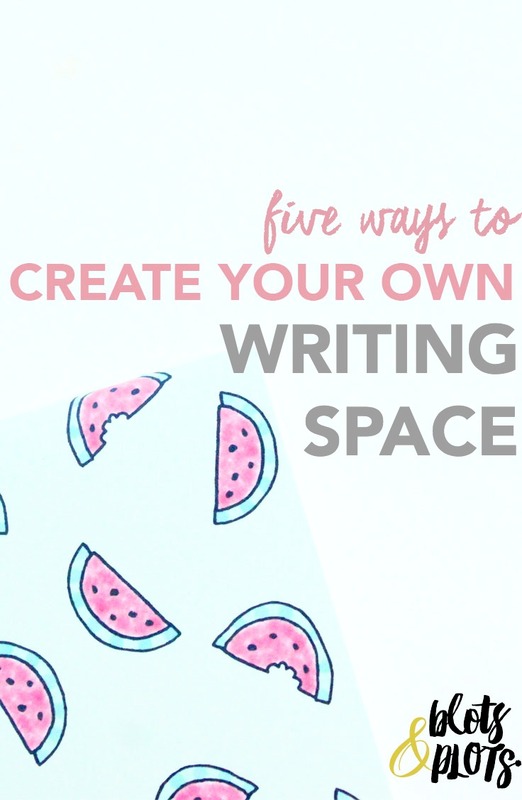 Discussion Time: How do you create your own writing space? What elements are essential for your best writing productivity?